While enjoying lunch at JP’s Sports Grill (located within the Jardine Apartment Community), Director of Parent & Family Relations Mindy Weixelman sat down with Assistant Vice President for Student Life/Director of Housing & Dining Services Derek Jackson to hear the latest news about Residence Life. Mindy: Hi Derek! There are so many exciting projects, both large and small, taking place within Housing & Dining Services right now. I’m eager for you to share an update with K-State parents and families. Let’s start with a quick overview. Tell us about Housing & Dining Services. Derek: Housing and Dining Services provides a living-learning environment for students, families and guests that is safe and comfortable. When construction on our newest residence hall (Wefald Hall) is complete this fall, we’ll have housing for more than 6,000 students in ten residence halls, a large apartment community, one leadership/scholarship house for women and a house for honors students. Our three dining centers serve made-from-scratch, balanced meals planned by registered dietitians, and feed approximately 10,000 people a day. Advice for supporting your student as classes fly by. 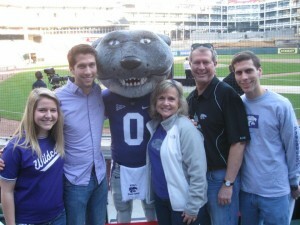 Scott, graduate of K-State’s School of Journalism and Mass Communication, and Patty, graduate of The University of Kansas’s Department of Political Science, cheered on the ‘Cats with their family at the 2012 Cotton Bowl in Arlington, Texas. As parents of three collegians (our son, Brett, graduated from a small private college in 2010, our son, Cooper, graduated from K-State in 2012 and our daughter, Carolina, is currently a sophomore at K-State) we’d like to share our thoughts on what you might experience with your student as the end of spring semester draws near. 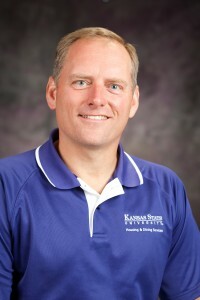 MANHATTAN — A first-time certificate-earning institute being offered at Kansas State University this summer is designed to meet the growing need in the workplace for individuals with conflict resolution abilities. 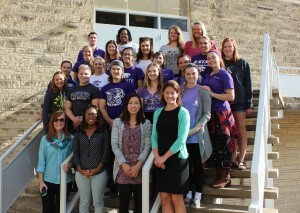 Kansas State University’s Summer Institute in Conflict Resolution will be offered June 6-July 29 on the Manhattan campus through the School of Family Studies and Human Services in the College of Human Ecology. Students successfully completing the institute will earn the university’s certificate in conflict resolution.